Teeth whitening with baking soda is one of the easiest and most common home ways that many people try. This is not surprising since sodium bicarbonate is in the house of almost every hostess. And on the preparation of special mixtures do not have to spend a lot of time and effort. Before you start brushing your teeth with baking soda, be sure to weigh the pros and cons. It may be better to go to a dental specialist in the beginning than to eliminate the consequences of self-treatment later. What Does Baking Soda Do to Your Teeth? Baking soda or sodium bicarbonate is a white powder that consists of small crystals. When used as a powder for cleaning teeth, baking soda affects the enamel as an irritating agent. In other words, deposits and pollution are removed mechanically. But the problem is that with this mechanical cleaning, solid soda crystals also remove tooth enamel. One useful feature of baking soda at this time is the fact that it is endowed with antiseptic nature. Therefore it is often used to rinse the mouth during gum inflammation and stomatitis. The baking soda solution at the same time should be weak since the mucous membranes are endangered when in direct contact with soda crystals. 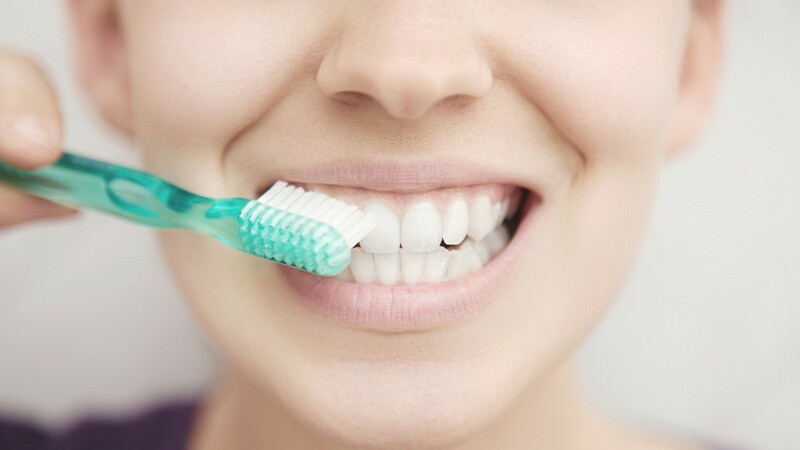 In this connection, when whitening with baking soda, you can break not only the tooth enamel but also the soft tissues of the mouth. Baking soda with intensive and prolonged use can completely destroy the tooth enamel, as well as cause gum disease. With this product, you can actually get rid of plaque and pollution, but at a very high price. The price that you give when whitening with baking soda includes your healthy tooth enamel. Your smile will shine, but for a short time. Since baking soda crystals destroy the tooth enamel, thousands of microcracks appear on it. Those microcracks get clogged and darkened in a few days. What effects does baking soda have on teeth enamel and gums? After the first use of the substance, the Burbank dentist can note its disastrous effect. If you have sensitive and weak gums that are prone to inflammation and bleeding, then brushing your teeth with baking soda only worsens all these problems. In addition, regular use of soda provokes an exacerbation of chronic diseases of the gums. It can also cause them to appear. In the case of damaged or thin enamel, the harm from exposure to this substance is immediately manifested. The teeth react more sharply to external stimuli and their sensitivity increases. 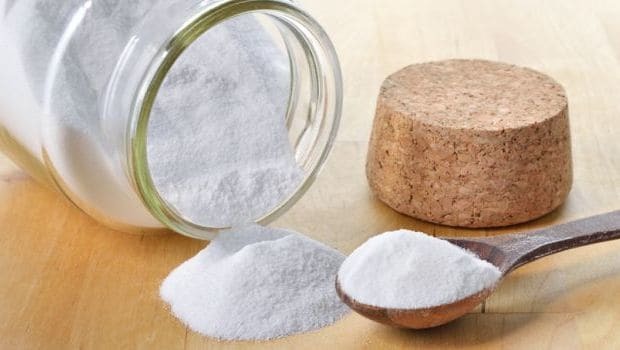 If you have sufficiently strong tooth enamel and healthy teeth, then in the first few races of using baking soda for whitening, you can not feel its destructive effect. But not too much time passes, as the enamel becomes rough. Tooth enamel gradually begins to thin with the continuous use of baking soda, which leads to tooth pain and sensitivity. How to Whiten Tooth Enamel with Baking Soda? First, you need to prepare a solution of warm water and baking soda. Then dip the toothbrush into the solution and brush your teeth. This method is the most gentle since baking soda crystals in a dissolved form cannot do much harm to the gums and tooth enamel. True, this method will not bring a great cleansing and whitening effect. The next method of whitening tooth enamel is to mix toothpaste with baking soda and to brush your teeth with such a composition. This option is more dangerous because crystals have a detrimental effect on tooth enamel. But in place with the effect of whitening is much higher. Another method of teeth whitening is that the toothbrush is lowered into the baking soda and thus the teeth are cleaned. This option is the most dangerous. When using it, not only the integrity of the tooth enamel is disturbed, but the gums are also irritated. 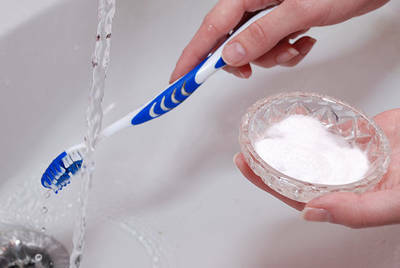 You can also apply a slurry of soda to a cotton or gauze swab and brush your teeth. This method is as dangerous as the previous version. So that no one talks about the benefits of baking soda when whitening teeth, it is comparable to the harmful effect it has on the teeth and gums. Can I Brush Teeth With Baking Soda? There are some risks involved in using baking soda for brushing the teeth. It can damage the enamel. If you do not use the correct proportion, baking soda can even damage your tooth enamel and cause tooth decay. Perhaps this is one of the biggest pitfalls that you will have to face after the second or third cleaning. During friction, small particles crush enamel, leave scratches and cracks on it. Due to this, the teeth become more sensitive to temperature changes. Hot and cold foods over the next five days can cause severe, sharp pain. Not enough to fight cavities. Experts believe that baking soda is not able to fight on its own with cavities because it does not have the ability to kill bacteria, which eventually add to the formation of plaques. It also lacks enough fluoride needed to prevent cavities. May cause gum damage. Just as an excess of it may wear out your enamel, similarly, if you do not use abrasive properties of baking soda consciously, it can cause problems with gums. Not suitable for dental adhesive. Re-use of baking soda can soften the glue which is used to hold braces and similar fixtures, as well as it can leave dark spots. Therefore, people using braces are advised to stay away from it. Short-term result. Do not hope that once you have whitened your teeth, you will no longer have to resort to such procedures. The positive effect after applying baking soda lasts a maximum of a couple of days. Then the enamel begins to turn yellow again, a raid and formations appear on it. Allergy. Sodium bicarbonate is not only harmful but also dangerous to health. Some women may have an allergy to baking soda. As a result, a rash may appear on the palate, tongue, lips and gums. Burning, itching, or pain may occur due to irritation of the mucous membrane. Bleeding gums are not uncommon also. Like any dental procedure, teeth whitening also is necessary to carry out with professional means and preferably under the supervision of your dentist. Independent whitening of tooth enamel with baking soda is very dangerous and can cause irreversible effects. Come for a cleaning consultation with the best dentists in Burbank, at My Dentist Burbank assess your tooth enamel. Call 1-818-578-2332 for an appointment today.